In recent years, rising disposal costs, environmental regulations and awareness have created a need for hatcheries to find sustainable alternatives for hatchery waste management. 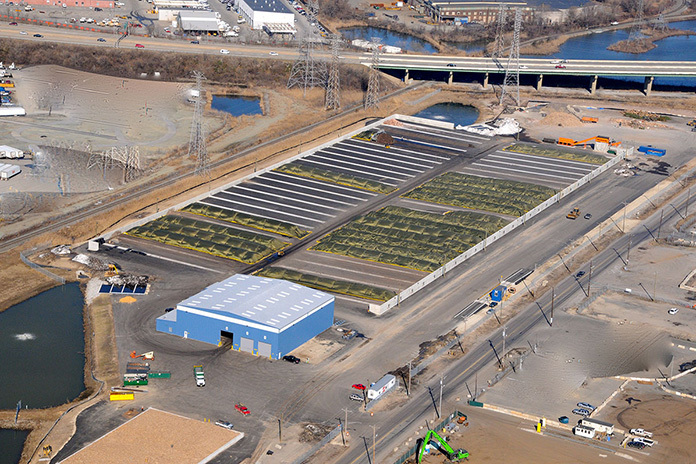 Waste treatment can occur both on-site (at the hatchery) and off-site (at a treatment or processing plant). Ideally, some pre-treatment of waste should occur on-site. Solid waste should be separated into eggshells, solids, and liquids and placed in different recycling trajectories. This reduces pathogen load and creates options to get the most from your waste. Eggshells can be separated from heavier solids and unhatched eggs using one of three methods: vacuum suction, a vibrating sieve belt, or a cyclone forced air separator. 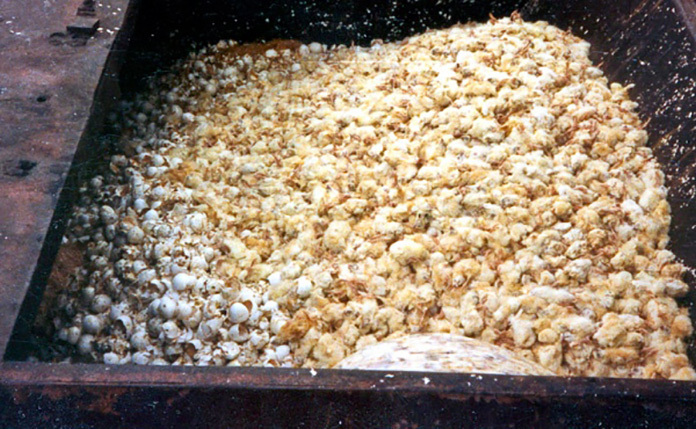 Eggshells can be composted or further separated from their inner membrane for increased value. This can be accomplished by either grinding the eggshells into a powder, and mixing them with water (the eggshells sink and the membranes float), or by placing the eggshells into a fluid-filled tank and separating by cavitation. There are various options for separating solid hatchery waste into solids and liquids, such as: inclined screens with presses, centrifuges, multi-layer filters using gravity, conveyor belts and rollers, etc. each ranging in ability to capture solids. 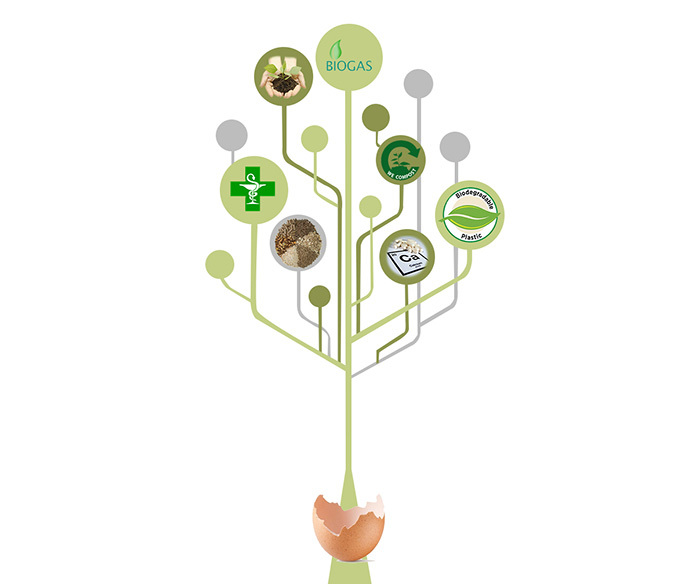 Eggshells and their membranes hold distinct potential as a nutrient and protein-rich resource in various markets. It makes good economic and environmental sense to take advantage of these qualities. 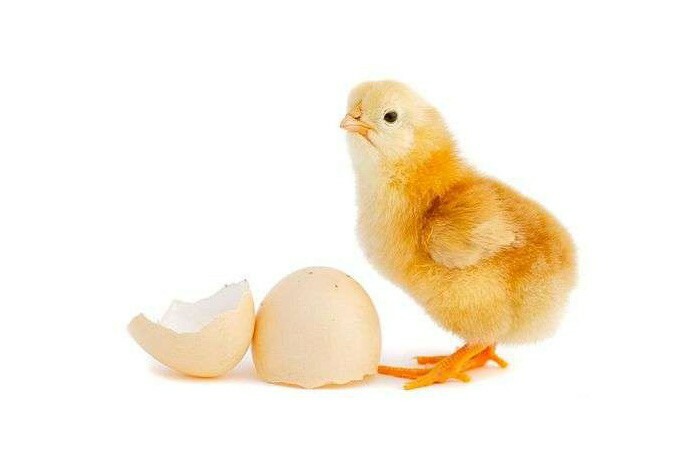 The eggshell membrane contains 10% collagen, which has a high market value in medicine (from skin grafts to dental work, plastic surgery and osteoporosis treatment) as well as in food processing, biodegradable plastics, and environmental cleanup. Eggshells can also be ground into a powder and used in calcium supplements. General solid waste can be recovered into value-added products through composting, rendering, and anaerobic digestion. These options are expanded upon below. It is worthy to note that many countries have regulations for processing animal by-products. Be sure to check local requirements or ship hatchery waste to an appropriate government-approved facility. Registered operators are listed by sector on the European Commission website for both EU and non-EU countries. One option to recycle hatchery waste is to send it to a feed-processing plant. 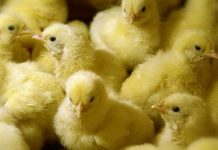 To make a protein, fat, and nutrient-rich animal feed that is also safe, hatchery by-product meal must have a pathogen-free status. This is possible through autoclaving or extruding followed by temperature disinfection and drying, or pressure boiling and drying. 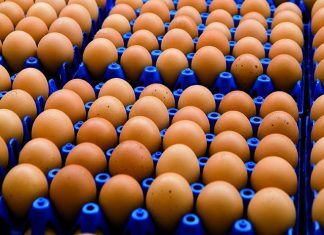 Waste must also be heat-treated to kill a protein called avidin found in egg whites (responsible for eye, locomotive and reproductive problems). Hatcheries sending their waste for livestock feed processing, must keep their waste in an acidic or low pH environment. On-site ensiling with formic and propionic acid produces an acidic environment, slows spoilage, and supports positive lactic-acid bacteria growth. Composting is a well-known option for converting biodegradable hatchery material into a nutrient-rich, pathogen-free resource. Many stakeholders in the poultry chain can benefit from combining industry wastes at composting facilities. Soiled poultry litter, as well as sawdust, yard trimmings, biochar, etc. reduce moisture and pathogen load and enhance micronutrients. Composting facilities use either a batch or continuous system – depending on how often input materials are received. 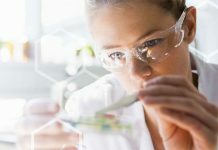 Batch systems accept material at set intervals per year while continuous systems accept a set volume of material daily. Poultry litter is more commonly associated to batch composting due to all-in all-out flock cycles, whereas hatchery waste is removed multiple times per week and is more suitable for continuous composting. By combining forces, hatcheries and poultry growers could support a continuous composting system. It takes about eight weeks to generate compost fit for field application but further curing would improve compost stability for soil amendment and fertilizer use. In general, on-site in-vessel composters have a quicker turnaround time. DiCom® is a new composting vessel that converts solid waste into biogas and stable compost for agricultural application. Finished compost can be used internally, donated, or sold. The retail price of compost depends on its quality, consistency, and market demand. It may very well cost less to build and run a poultry litter and eggshell compost facility than it does to send waste to disposal grounds. Estimates show it costs less per ton to compost in small or large-scale systems accounting for all initial, fixed, and variable costs (land, machinery, labour, materials, etc.) than to pay disposal fees. For large-scale hatcheries, an on-site anaerobic digester system efficiently creates biogas from methane, which can be used for in-house power generation, as well as bio-solids, which are saleable as a high quality fertilizer. The process of anaerobic digestion eliminates pathogens and is already established in treating human effluent and slaughter plant waste. 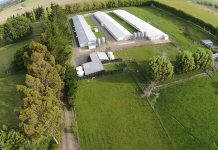 Anaerobic digestion is suitable for any biodegradable wastes: indeed anaerobic co-digestion using mixed livestock sources (swine, poultry, cattle, dairy waste by-products) increases nutrient balance and treatment efficiency making it ideal for agricultural zones. Loading rates, nutrient ratios, internal temperature and pH need to be managed for optimal performance, quality control, and safety. Hatchery wastewater can be sent to wastewater treatment facilities. Or, it can be treated on-site using batch or continuous anaerobic digesters. First, waste needs to be cleared of non-biodegradable materials (glass, plastic, and metals) and then shredded to maximize digestion speed. Various options exist depending on the concentration of bio-solid content: covered lagoons (suited for warm climates), fixed bio-film tank for quick turnover, complete mix in silo tanks, and plug flow digesters. If hatcheries use lagoons to dispose of wastewater, integrated aquaculture could be an attractive option. After reducing the fat and solid content, a series of ponds can host algae, zooplankton, mollusks, and ornamental fish while cleaning water for irrigation.